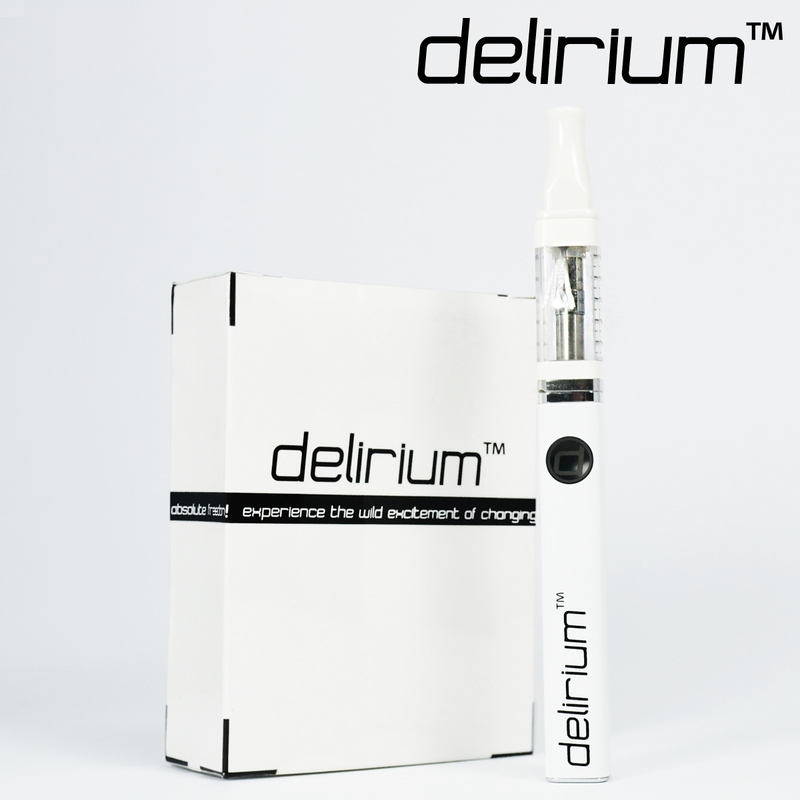 One of the best looking electronic cigarettes on the market today, the delirium White is uniquely designed and absolutely magnificent in terms of esthetics, performance, and longevity. All these factors become ever-more impressive when combined with an incredibly low price. 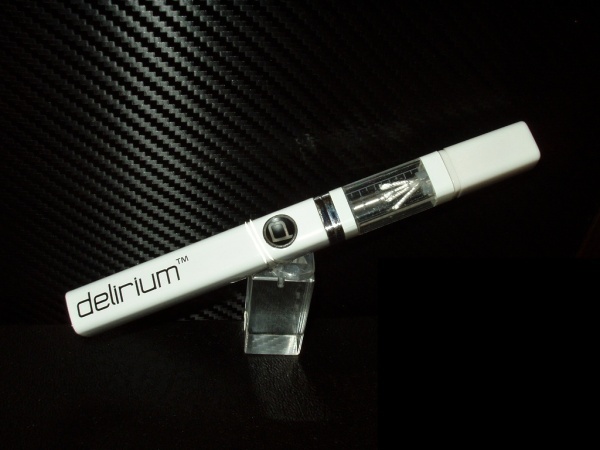 Beautiful, strong, and affordable - if you're just starting to vape or want a special vapour pen that makes a strong social statement, the delirium White is definitely the way to go. 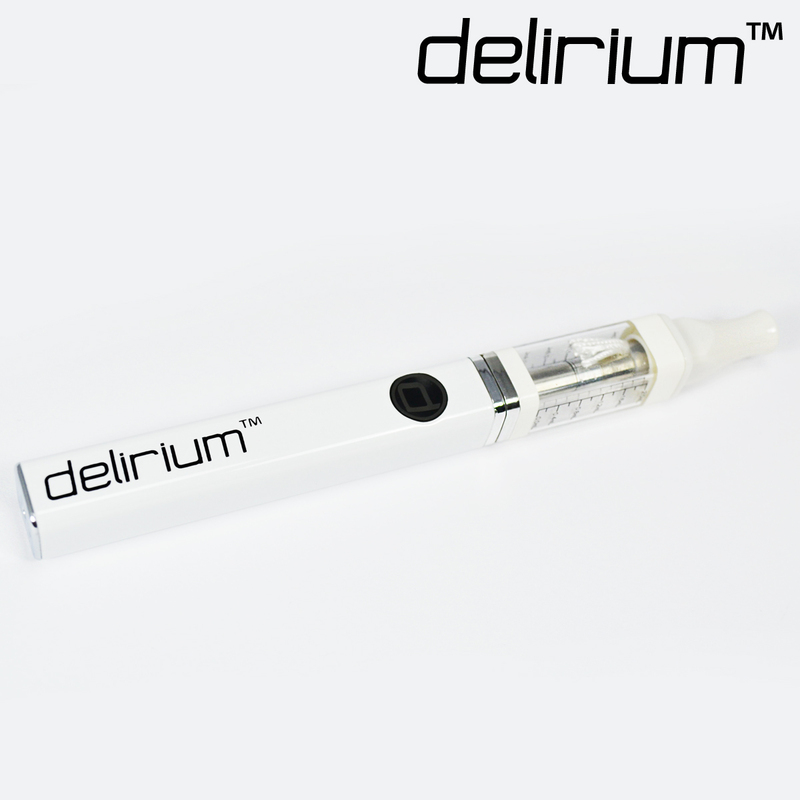 The delirium White features top coil atomization technology and is made from high quality materials. The 2ml transparent clearomizer is very effective in checking e-liquid levels and features changeable atomizer heads that makes vaping that much more easy, pleasurable, and 100% hassle-free. All you need to do is remove the atomizer head when it starts dropping in performance and replace it with a new one. Once you do, you have yourself a brand new electronic cigarette that always delivers outstanding vapour performance - huge amounts of thick and juicy vapour at all times. 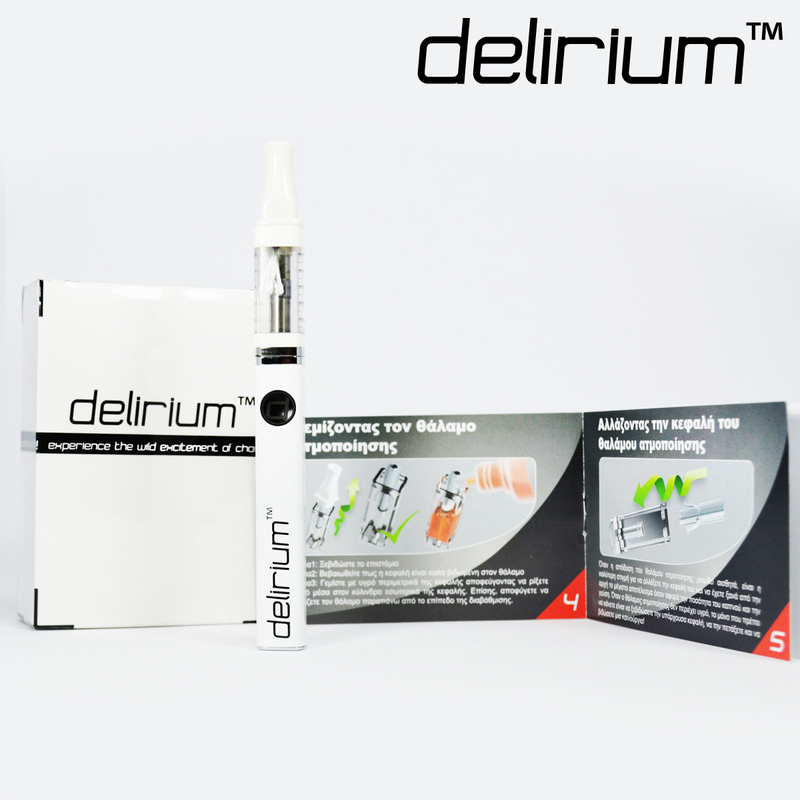 The delirium White is an overall winner with a powerful 650mAh passthrough battery; it generates enough power to vaporize every kind of e-liquid with truly remarkable flavour transmission levels. 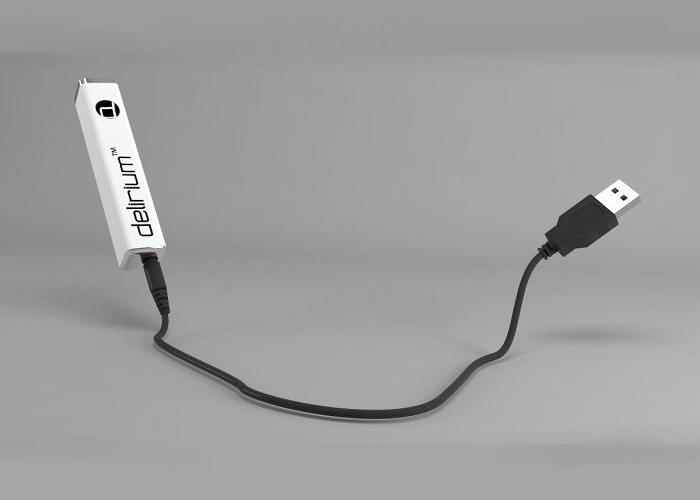 The passthrough feature is another extremely practical aspect of the delirium White battery - you can vape while your e-cigarette is being charged. 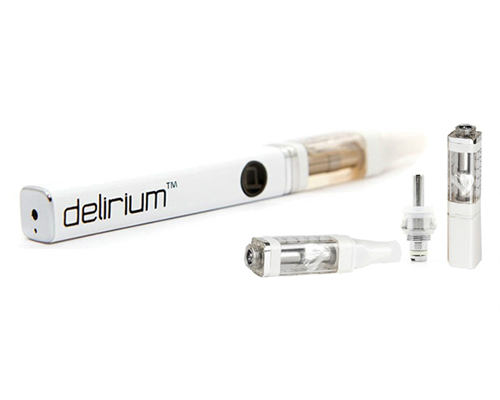 The delirium White is very easy to use as well; if you can breathe, you can vape with the delirium White. What it all boils down to? A brilliant vaping performance. Style, performance, user-friendliness, and price - the delirium White electronic cigarette is a top contender in every sense of the word. Produces massive amounts vapour with incredibly accurate flavour transmission levels. Change only the atomizer head, not the whole atomizer; very practical and budget-friendly. Guaranteed to turn heads wherever you go; built strong. 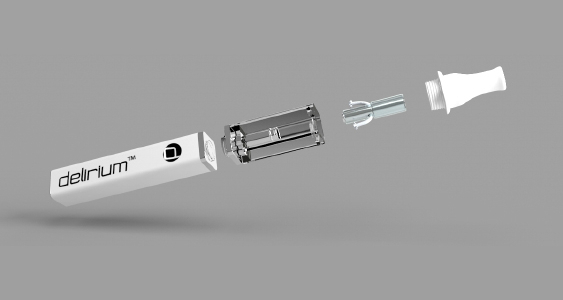 Features a larger-than-average chamber volume compared to most electronic cigarettes - vape more, fill less. → It's always a good idea to stock up on consumable ecigarette parts such as atomizer heads and clearomizers. 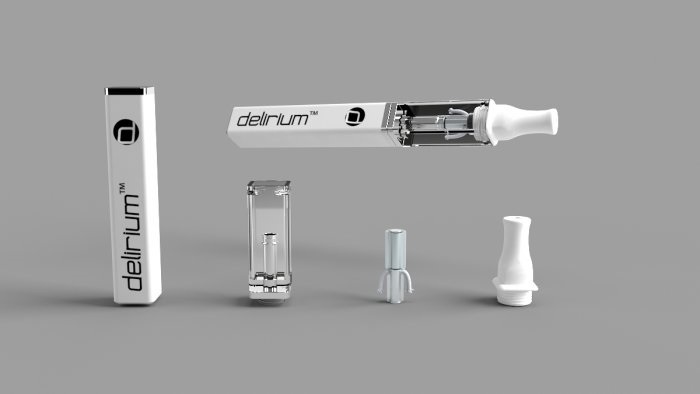 Please click here for delirium White atomizer heads and here for clearomizers. I have just begun my quit smoking journey with the Delirium White, hopefully I will be able to stop smoking (I haven't smoked a cigarette in 4 days now). I have the Delirium White kit for 4 months and have not smoked one single cigarette. I think it is safe to say I have quit smoking, and I have even went down to low nicotine. Electronic cigarettes are really as good as they say. I know nothing is better then not smoking anything but vaping is better then smoking and I am vry happy that I stopped smoking after years of smoking. I am now 2 weeks stop smoking! 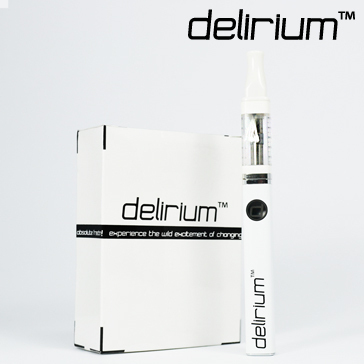 I wanted to see if electronic cigarette was good to quit smoke and I buy the Delirium White kit first and it worked! Thank you very much!